It seems like the day of Android updates. After Motorola, Xiaomi has started seeding the Android 9 Pie update to its Mi A2 in India. 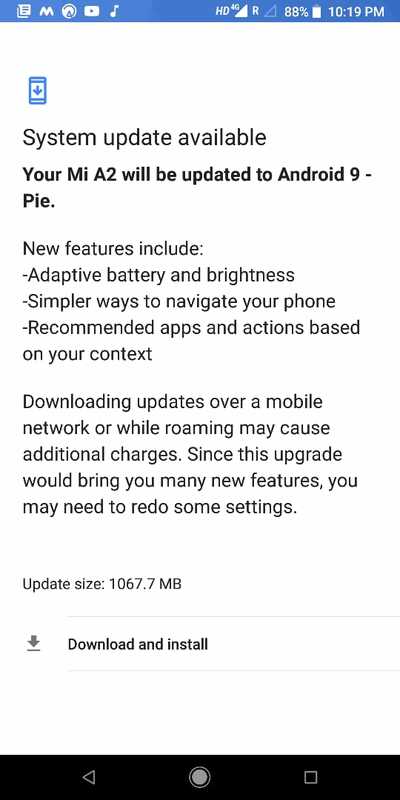 The Android 9 Pie update for Xiaomi Mi A2 weighs 1067.7MB in size (it might vary with users) and brings along all the features which Google introduced with the latest iteration. Having said that, the update seems to be pushed out to an only limited set of users as most of the Mi A2 users on Reddit are complaining that their device is yet to show up the update notification. Furthermore, the update seems to be live only for the Mi A2 users in India as the users who got the update are from sub-continent. Xiaomi Mi A2 Update: What’s New? Just last week, we reported that some of the Mi A2 users on the Beta programme have received the update for testing, but Xiaomi has started the stable update rollout in the country today. As mentioned above, Android 9 Pie update on Mi A2 weighs close to 1.1GB in size and it can be installed over-the-air. We have received the update on our Mi A2 review unit. Also, make sure that you’ve installed the November 2018 security update on your Mi A2 because it gets the device ready for the Android 9 Pie major update. For the unaware, the Xiaomi Mi A2 is an Android One handset, so it runs stock Android 8.1 Oreo and not the company’s MIUI skin. As for the features, we get all the Android 9 Pie ones such as adaptive brightness, adaptive battery, gesture navigation, app actions and all the user interface tweaks. The update also ships with November 2018 security patches. To recall, Xiaomi rolled out the November 2018 security update alongside the Pixel 3 devices earlier this month. Last year, Xiaomi was criticised for delaying the updates even for its Android One handset- the Xiaomi Mi A1. However, that’s not the case with Mi A2 this year. The Chinese handset maker has delivered the update this year on time and kept the Android One promise. Notably, the Xiaomi Mi A1 is also slated to receive the update by the end of this year. Another interesting thing to watch out for is bugs. Yes, you read it right. Xiaomi’s Android One smartphones are often plagued with way too many issues- much like Google’s Pixel devices. 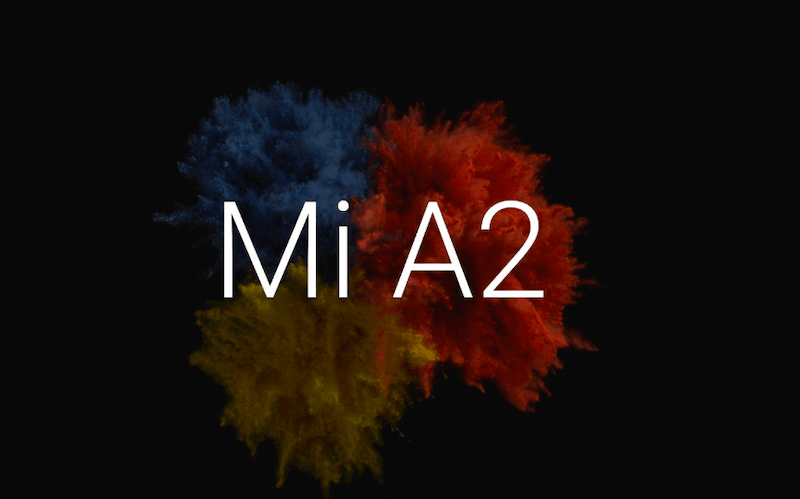 The Mi A2 released with its set of bugs out of the box and Xiaomi is yet to solve some of them such as poor battery life and fingerprint gestures. Last year as well, it was the same scenario as the Mi A1 Android 8.1 Oreo update was suspended twice after rolling it out to the consumers. It will be interesting to see what’s the case with Mi A2 now. We have installed the update on our Mi A2 and stay tuned for a full review coming in a couple of days. ….haha…..guys….bugs are coming. Get Set Ready Your Internet connection, & update to latest bugs along with Android Pie as well.